Los Angeles Police officer Henry Solis is shown in this image released by LAPD on March 16. Solis, a rookie Los Angeles police officer, was being sought on Monday as a person of interest in the fatal Southern California shooting of another man in the bar district in Pomona, local authorities said. The FBI has offered a $25,000 reward for information leading to his arrest. LOS ANGELES — The FBI on Friday offered a $25,000 reward for information leading to the arrest of a rookie Los Angeles police officer thought to have fled to Texas after allegedly killing a man in a fight. 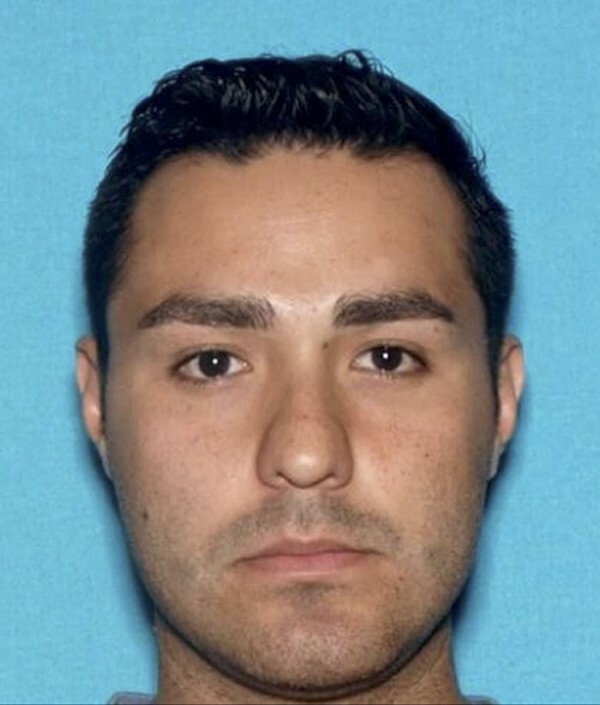 Henry Solis, a 27-year-old probationary officer, is accused of shooting Salome Rodriguez Jr. multiple times on March 13 near several nightclubs in downtown Pomona, about 35 miles east of Los Angeles. Solis was off duty at the time. In a fugitive warrant affidavit filed in U.S. District Court earlier this week, an FBI agent wrote that Solis told family members after the murder that he would never be seen again and then contacted his father, who drove him from Southern California to Texas. According to the affidavit, Victor Solis later told FBI agents that he had driven his son to El Paso, Texas, and dropped him off at a bus station and that he did not know where the younger man was. El Paso is just across the border from Juarez, Mexico, nearly 700 miles southeast of Pomona. The Los Angeles Police Department fired Solis earlier this week after a warrant was issued for his arrest in the murder of Rodriguez. In announcing the $25,000 reward for Solis on Friday, the FBI said that he should be considered armed and dangerous, as well as a suicide risk. The agency said Solis had ties to Juarez and asked the public to contact an FBI office or the nearest American embassy or consulate with information on him.